It was a riveting and emotional night last night as the world tuned in for the 87th Annual Academy Awards at the Dolby Theater stage. Neil Patrick Harris opened the evening with a musical tribute to “moving pictures” alongside Anna Kendrick and Jack Black bringing out the nostalgic and classic moments from some of Hollywood’s biggest blockbusters. It seemed only fitting for Neil to provide us a lighthearted introduction to the ceremony, breaking the ice and setting the stage for the evening to follow. Other highlights from Neil included him taking to the stage in nothing but his underpants. 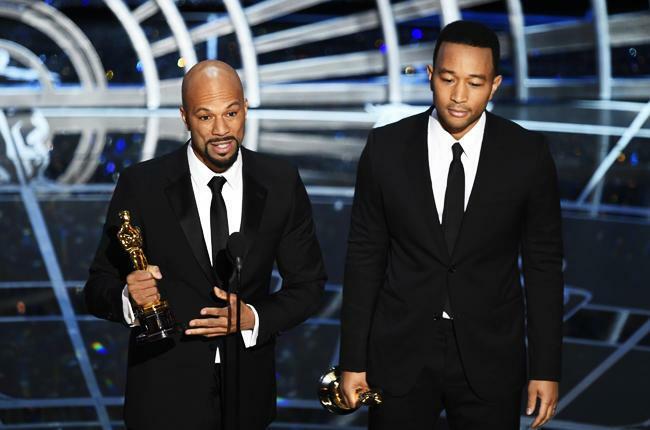 John Legend and Common weren’t the only winners proud to support social change and equality during their big moments. 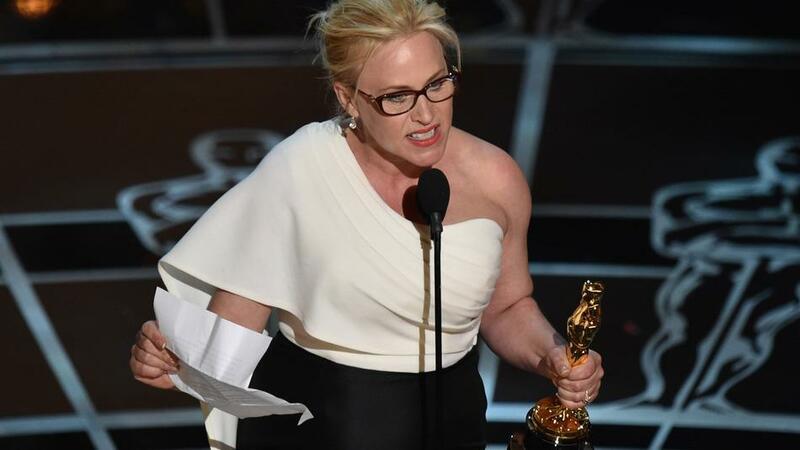 Patricia Arquette took home the award for Best Supporting Actress for her role in Boyhood and her acceptance speech delivered a powerful memorandum, “to every woman who gave birth, to every taxpayer and citizen of this nation, we have fought for everybody else’s equal rights, it’s our time to have wage equality once and for all, and equal rights for women in the United States of America.” She moved audience members and received a standing recognition from Meryl Streep. There were however, a few questionable and somewhat controversial moments to be had during the Oscars (as usual). One of which was the omission of Joan Rivers in the In Memoriam segment. Twitter went wild when audience members realized Joan was not honored amongst the other Hollywood icons we lost last year. The Academy issued a statement today saying, “Joan Rivers is among the many worthy artists and filmmakers we were unfortunately unable to feature in the In Memoriam segment of this year’s Oscar show. She is, however, included in our In Memoriam gallery on Oscar.com.” Those honored in the In Memoriam segment included Maya Angelou, Robin Williams, Mickey Rooney and Lauren Bacall. Another controversial highlight occurred during Sean Penn’s announcement of Birdman as Best Film. Penn left the audience stunned as he joked, “Who gave this son of a ***** his green card? !” in reference to the film’s director Alejandro Gonzalez Inarritu. Although some found Sean’s joke a poke among peers and Inarritu himself later claimed to have found the joke “hilarious” other’s found the comment added proof to the trending concern about racism in the Academy Awards. Eddie Redmayne won the award for Best Actor for his performance in The Theory of Everything. Julianne Moore won her first Oscar in the Best Actress category for Still Alice. Birdman won Best Film and Mexican film director Alejandro Gonzalez Inarritu took home to award for Best Director. The red carpet beamed in a stunning show of ensembles but there were a few unforgettably well dressed guests. Zoe Saldana was among the evenings most notably dressed, awing everyone with a beautiful post-baby figure and pink Versace gown shown below. Other red carpet favorites included Scarlet Johansson in Atelier Versace and Lupita Nyong’o pictured below. ← Previous Story A Calm Amongst The Chaos.